It could be hearing a song you’ve always regarded as your favourite or hugging your pet after a tiring day — happiness comes in different forms, shapes and sizes. We’ve all heard different definitions of happiness before. And while many say it’s not a destination, we say it’s a state of mind that can be pursued. How do you achieve a state of utter bliss, an incomparable euphoric condition that feels real, simple and sincere? 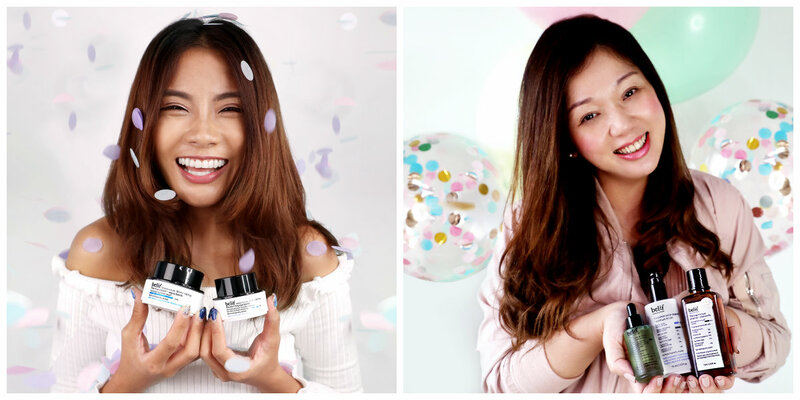 Singaporean digital influencers Clarie Teo and Leanne Ho share what they do to get to their version of 7th heaven. Plus, find out how you can enjoy some skin-lovin’ bliss by redeeming a skincare trial kit! Venturing into new horizons is one of the many ways Clarie finds joy. Another thing that makes her happy is by finding a sense of calm in chaotic waters. So it’s important that she does things that soothe her senses and calm her mind. Being a digital native, her eyes become prone to stress so giving it the soothing it needs — and deserves — is top priority. The belif Moisturizing Eye Bomb is perfect in this pursuit. Made with Comfrey Leaf that locks in moisture and Pennywort that supports anti-ageing, the lightweight and refreshing cream gives the undereyes intensive soothing and moisture that lasts up to 26 hours. Aside from that, the cream also boosts skin’s elasticity and firmness. The glow of good health also makes Clarie’s heart — literally and figuratively — happy. So she always makes time for fitness and chooses what she eats carefully. This also extends to her quest to always stay hydrated inside and out. Aside from making sure her water intake is good, she also prioritises using a hydrating product to keep her skin moisturised and radiant. The iconic belif The True Cream - Aqua Bomb gives intense hydration despite being lightweight and has been clinically proven to increase the skin’s hydration level by 70 per cent. The moisturiser has Lady’s Mantle that’s packed with antioxidants and has pore minimising benefits, Napiers Aqua Formula that supplies abundant levels of hydration to the skin, Napiers Original Formula that offers skin-calming and anti-trouble benefits. It’s also formulated without mineral oil, synthetic fragrances, synthetic colours, synthetic preservatives and animal-derived ingredients. For Clarie, happiness is not found just within one’s self but also in others, so she takes time to also share moments with her loved ones and explore the world and enjoy new discoveries. For Leanne, there’s nothing quite like the joy spending time with her family brings. It’s also her personal happiness goal to be able to spread positivity any moment she can. She also uses her social media platform to not just share good vibes but also talk about the wonders of beauty. To be able to enjoy all these, Leanne makes sure that she looks at the possibilities of a new day with glee and excitement. Along with that, she revels in the importance of self-care in attaining a good balance in life. And armed with the knowledge that ageing is an inevitable part of life, Leanne takes comfort in the knowledge and pursuit that it can be done oh-so-gracefully. That’s why she prioritises using products that have been proven to not only be effective but also gentle. 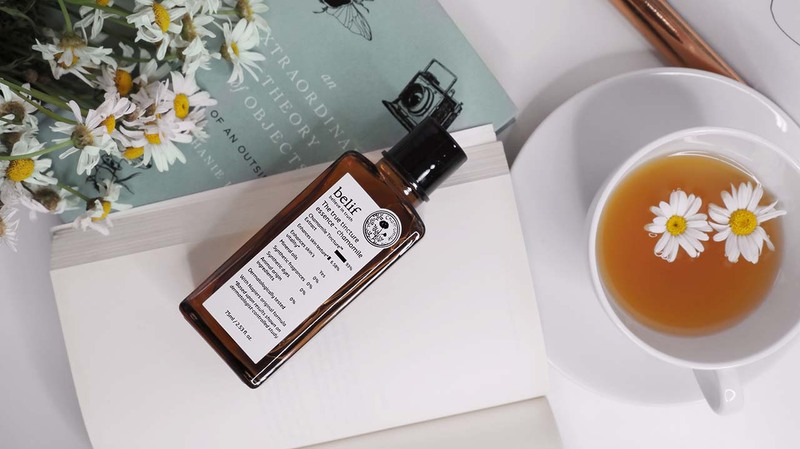 On her top shelf are belif’s Hungarian Water Essence - Moisture Binder, Peat Miracle Revital Serum Concentrate and The True Tincture of Chamomile. Inspired by the Hungarian Queen’s secret to youthful skin, the Hungarian Water Essence - Moisture Binder gives the skin lost hydration in a jiffy. It has a blend of herbs, including Rosemary, which is packed with antioxidants and gives extra hydration. Because of its lightweight texture, it gets easily penetrated into the skin, replenishing skin’s moisture by 45.7 per cent. Meanwhile, the Peat Miracle Revital Serum gives nine skin benefits that will help anyone achieve their goal to age gracefully. This supercharged serum is packed with Peat extract, GABA (Gamma Aminio-Butyric Acid), Napiers Anti-aging Formula, Napiers Moisture Formula and Napiers Original Formula. All these will help give you intense hydration, reduced fine lines and wrinkles, relieve skin irritation and inflammation, promote skin renewal, smoothen skin texture, stimulate collagen production, exfoliate dead skin cells, strengthen skin’s elasticity and tighten sagging and enlarged pores. For a healthy-looking glow and balanced complexion, Leanne relies on the True Tincture of Chamomile. Made with 93% pure organic Chamomile Tincture, this concentrated skin supplement instantly soothes the skin. 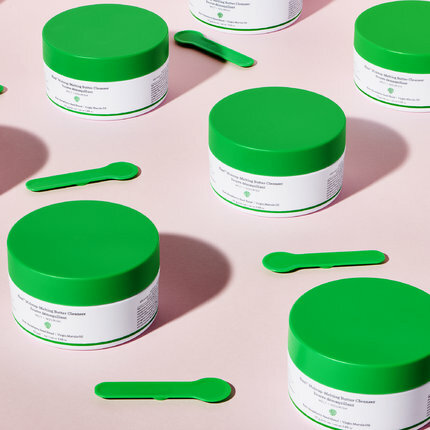 While their personal journeys to happiness may differ in certain areas, both share joy in celebrating good skin through a regimen composed of products created with superior ingredients in the most sincere way possible. Honest in their use of real herbal ingredients and processing of these ingredients to create simple but effective skincare products that will put your skin on 7th heaven, who better to honour good skin than with belif, who is celebrating their 7th anniversary this month? Ensuring your journey to a state of bliss has never been easier — and skin-lovingly better. What puts your skin on 7th heaven? 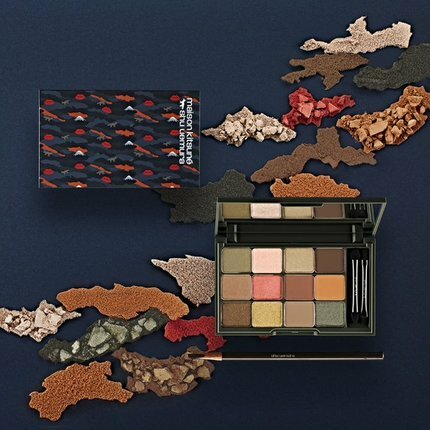 Learn more about belif and redeem a bestsellers trial kit featuring five of their bestsellers (featured above) and a 20% off 1 regular item voucher here. Buttery Skin Makeup Trend: Should You Try It? 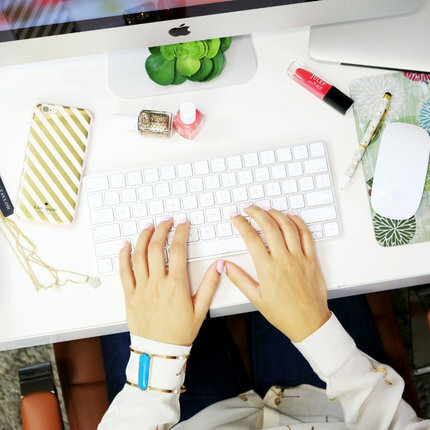 Makeup trends come and go but what never seems to go out of style is healthy, glowing skin. 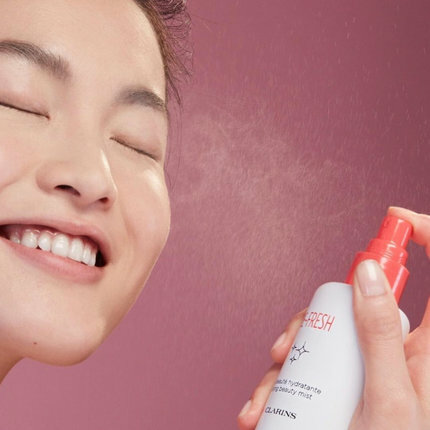 The demand for a smooth and dewy complexion reached its peak with last year’s glass skin craze and while that was great, not all of us (sadly) have the same level of flawlessness and extensive skin care routines that most Korean idols do. This season, however, we welcome a promising new trend that seeks to make beautiful skin wearable for everyone: buttery skin. As its name suggests, buttery skin mimics the smooth, satiny sheen that a stick of butter has. It came into popularity when makeup artist Isabelle De Vries posted a fresh and glowy makeup look on Instagram with the hashtag #butteryskin. While glass skin focused primarily on skincare (think: hydration, hydration, hydration! ), buttery skin is a makeup technique that builds glow in layers and the result is a dialled-down, dewy look. 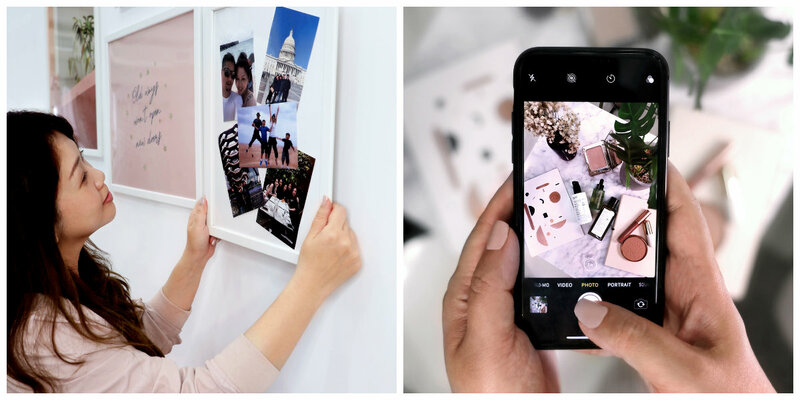 Curious about how to get it and if you should try it? Here’s how it works. Prepping the skin is essential for a good base. 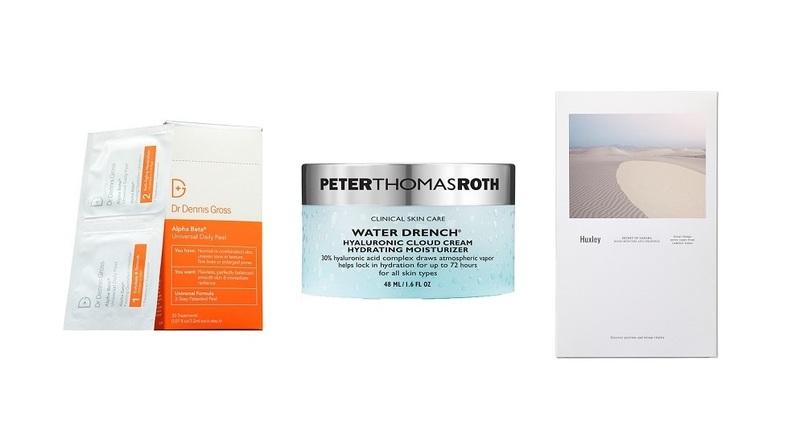 De Vries used an exfoliating pad, specifically Dr. Dennis Gross Alpha Beta Peel Pad, to smooth out skin and remove dead skin cells and followed by a hyaluronic acid sheet mask or moisturiser such as Peter Thomas Roth's Water Drench Hyaluronic Acid Cloud Cream and Huxley's Secret of Sahara Mask; Moisture and Freshness to hydrate. 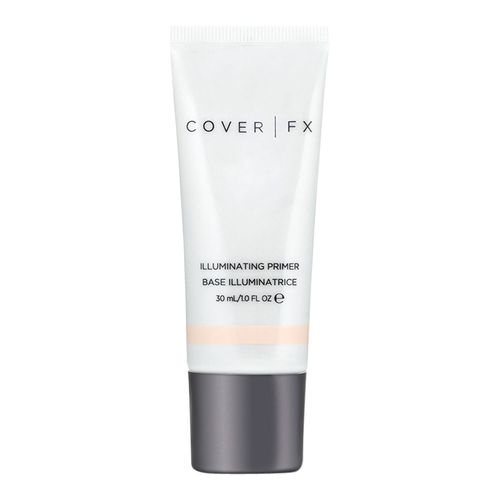 An illuminating primer like Cover FX's Illuminating Primer is key for a healthy glow. Apply it on to the high points of the face and smooth out for an even look. 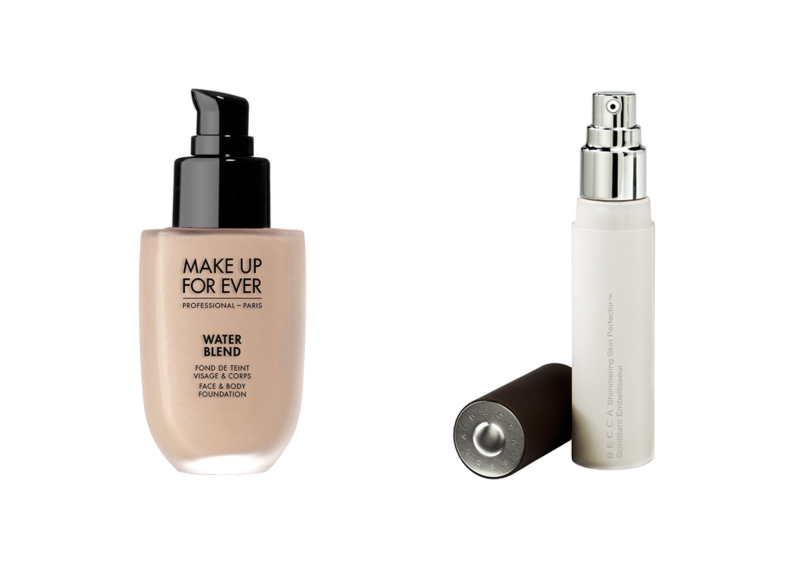 Opt for dewy/satin finish foundations such as Make Up For Ever's Water Blend Foundation over matte ones. You can also mix in a bit of liquid highlighter to your foundation like BECCA's Shimmering Skin Perfector Liquid Highlighter to add more glow. De Vries says she applies it with fingers, pressing it into the skin to achieve a more natural-looking finish. Apply concealer with a fluffy eyeshadow brush for an airbrushed effect. 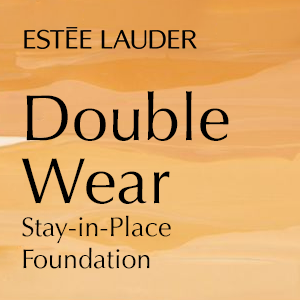 Finish off with a balm on top of your cheekbones in lieu of highlighter for a slight sheen. 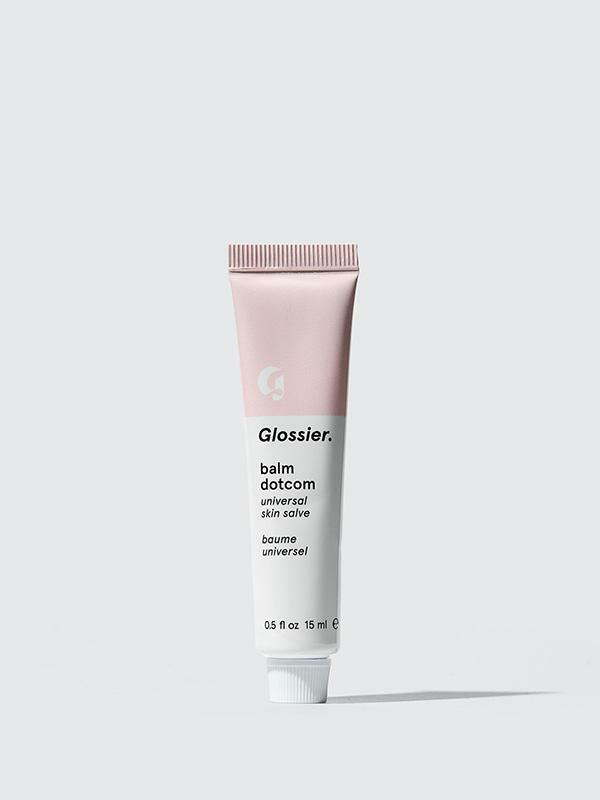 We think Glossier's award-winning multi-tasker, Balm Dotcom, is perfect for this use. After the base has been done, proceed with the rest of your makeup as usual opting for creamy/liquid pigments for more seamless blending. Set everything with a hydrating spray and you’re good to go. 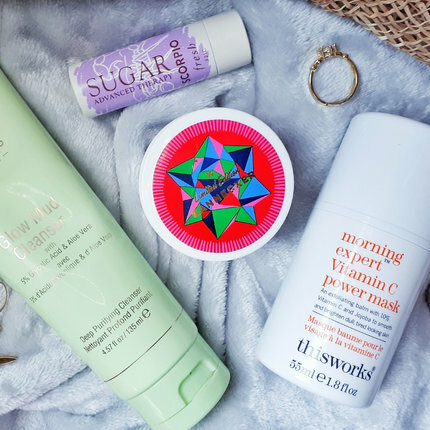 While buttery skin is admittedly a bit more time-consuming when it comes to doing the base, you might find that starting with beautiful-looking skin doesn’t require much else. We say it’s worth a shot. Cheers to the end of the working week! Relax, put your feet up and pat yourself in the back for a job well done. Kickstart your rejuvenation routine with these refreshing news from the worlds of fashion and beauty. 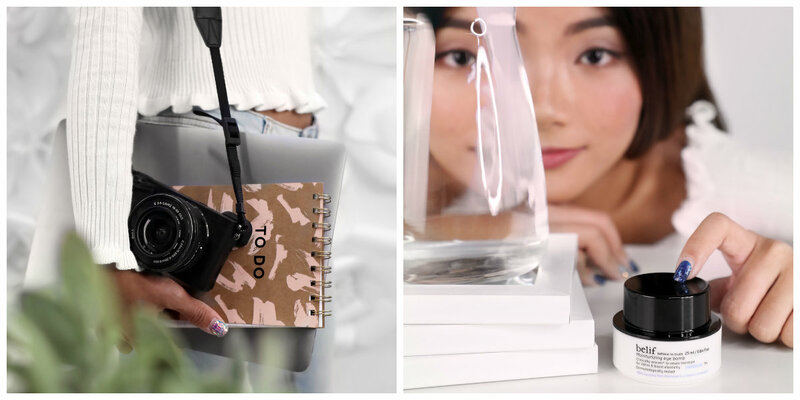 From a record-breaking achievement in jewellery-making to the rumoured expansion of a big beauty brand, here are the latest updates that you shouldn't miss. London-based jewellery company Graff just broke a world record when they unveiled Graff Lesedi La Rona, the largest square emerald cut diamond in the world at 302.37 carats. Found in Botswana, it was the largest gem-quality rough diamond discovered in over 100 years and the second largest ever found. From the initial cutting and shaping to the faceting and polishing, Graff's diamond artisans took 18 months for the process to be completed. You can learn more about this rare jewel here. Following the footsteps of her father Robert Kardashian of O.J. Simpson murder case fame, Kim Kardashian West is venturing into law studies and hopes to become a full-fledged criminal lawyer by 2022. Last year, the social media star met with US President Trump to plead the case of Alice Marie Johnson who was imprisoned for drug-related charges. A week after, clemency was granted for the 63-year-old inmate. This particular case is one of the highlights of Mrs. West's apprenticeship at a San Francisco law firm that she joined last summer. What do you think of Kim K.'s career move? 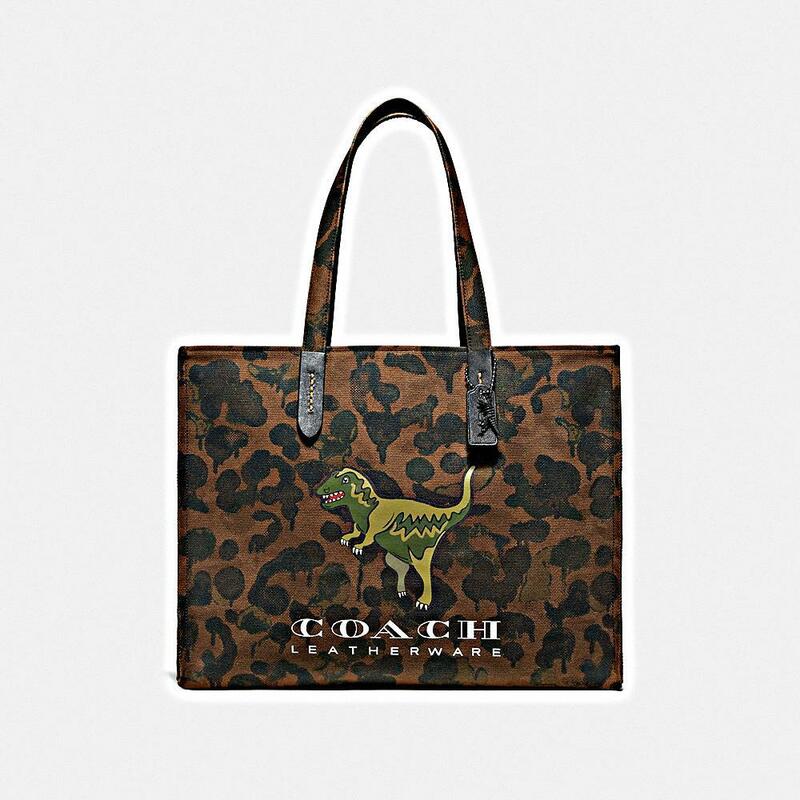 COACH launches special pop-up booths around the globe featuring everybody's favourite T-Rex, Rexy. In Singapore, you can find it at Paragon Shopping Centre from today until 21 April. 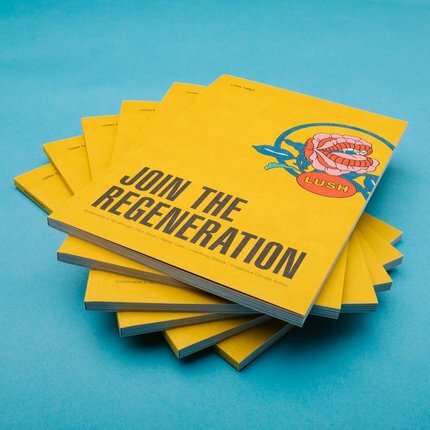 It will be hard to miss the colourful booth especially when it features a life-sized Rexy in neon at centre stage. Inspired by a new era of streetwear melded with luxury fashion, the Rexy Capsule collection leverages on the playful nature of Rexy and is paired with elevated basics. From bags to beanies, this collection features a variety of quirky designs that will catch your eye. 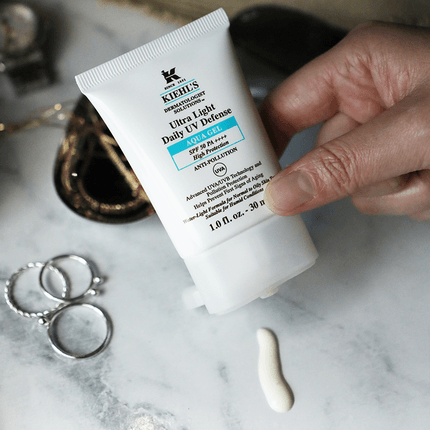 SK-II #BareSkinChat releases its fifth episode! This mini web series starring comedian James Corden and actress Chloe Grace Moretz explores skincare in a fun and unintimidating way with just the right splash of humour. Another version from SK-II Japan featuring Naomi Watanabe and Kasumi Arimura is also garnering attention for its entertaining storyline. Together, the series has garnered more than 40.6 million views to date. 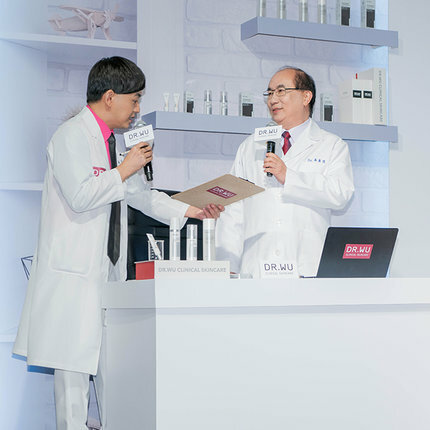 Make sure to subscribe to the SK-II Youtube channels so you won't miss the latest episodes. It's been two years since it was first rumoured that the young beauty empire will release a skincare line. And today, it looks like we have a clear answer. Will Rihanna be launching a skincare brand? All signs point to yes. The most obvious evidence, pointed by Page Six, is the official listing of the trademark "Fenty Skin" at the United States Patent and Trademark Office. 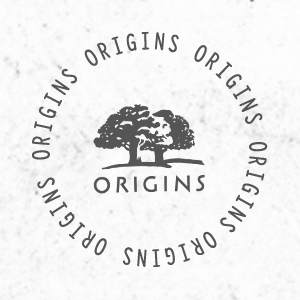 It seems that we're closer than ever to the official launch, so stay tuned. Don't miss updates from earlier this week. Read all about it here.